). Its compact size makes it easy to use both in the office and on the go. 5/8” x 5/8” cotton chips are permanently affixed to non-optically brightened paper for accurate color viewing. Each color is labeled with the corresponding PANTONE Number (with a TCX suffix) for easy color location and communication. It is the right choice for entry-level design or as a quick-reference companion to our larger-format cotton products. 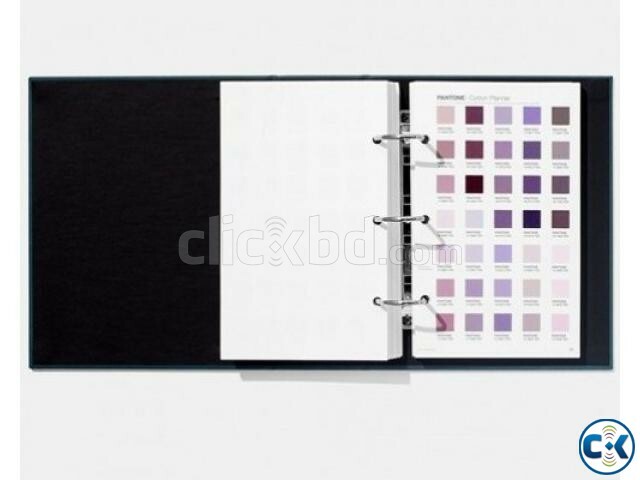 The PANTONE FASHION, HOME + INTERIORS Cotton Planner is the right choice for entry-level design or as a quick-reference companion to our larger format cotton products. The existing 2,100 colors, as well as the 210 New Colors, are chromatically arranged, making it easy to locate a specific color family. With 35 colors per page, you can quickly locate the specific share you’re looking for, or simply scan the pages for inspiration. Using the color numbers printed below each color, you can order full-size Cotton Swatch Card standards, which can be sent to multiple production sites around the globe to ensure the accuracy of your color production.